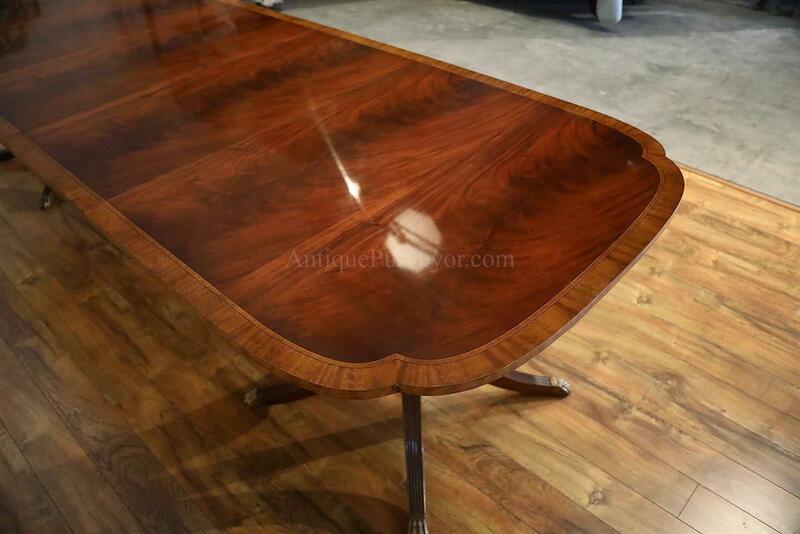 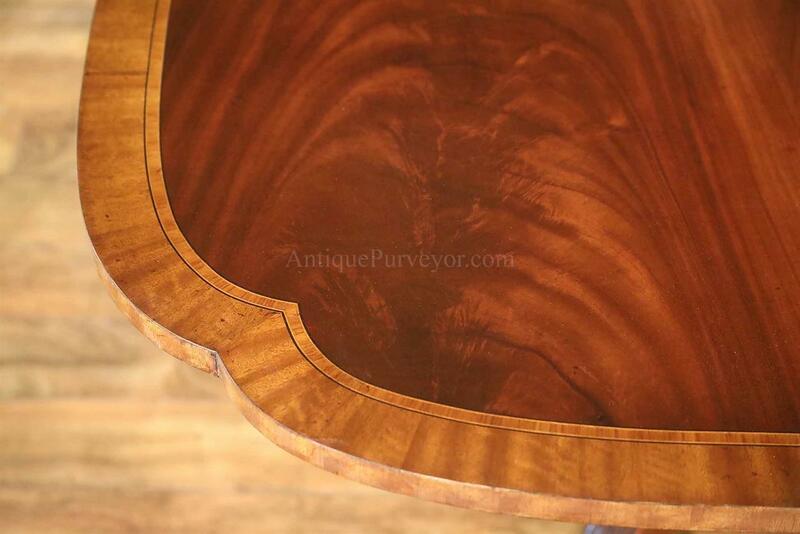 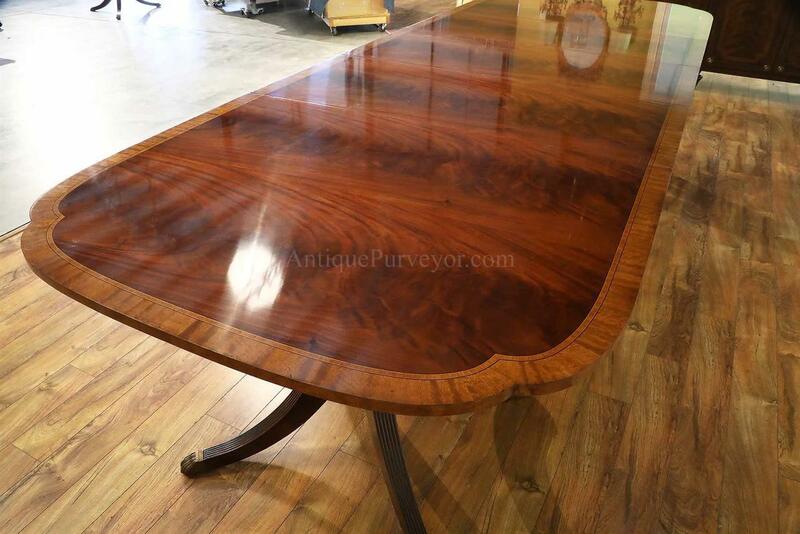 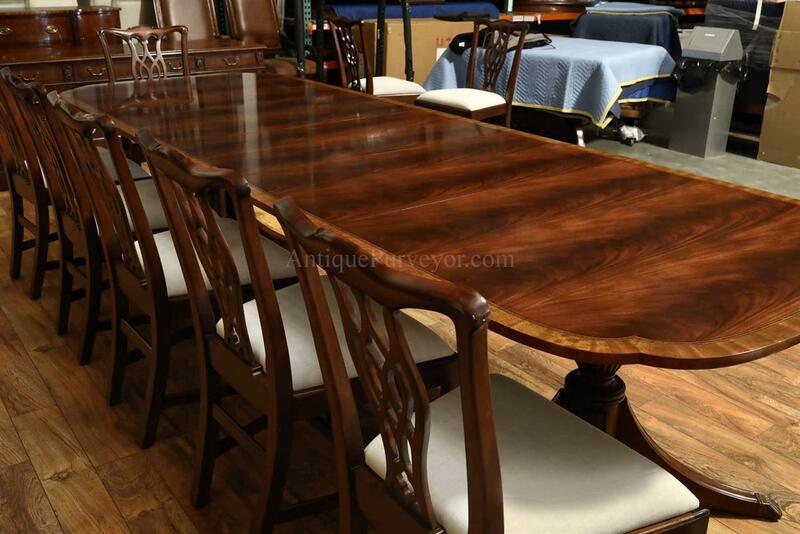 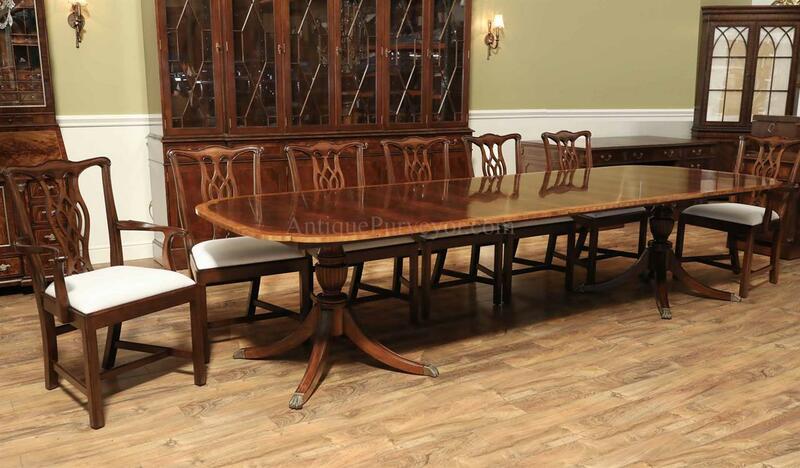 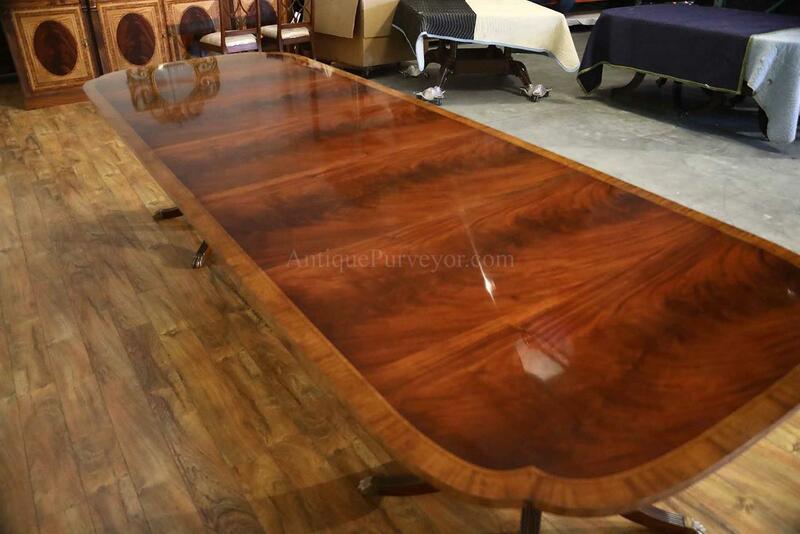 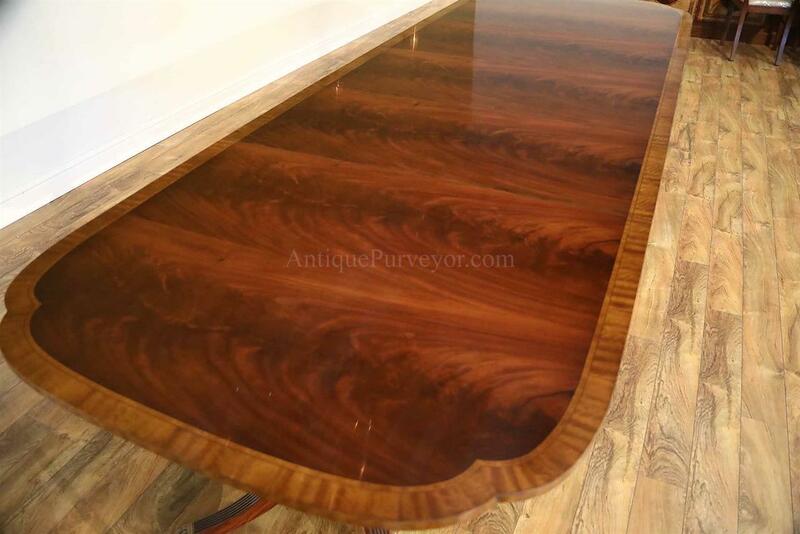 Description: Traditional mahogany dining table with scallop corners. 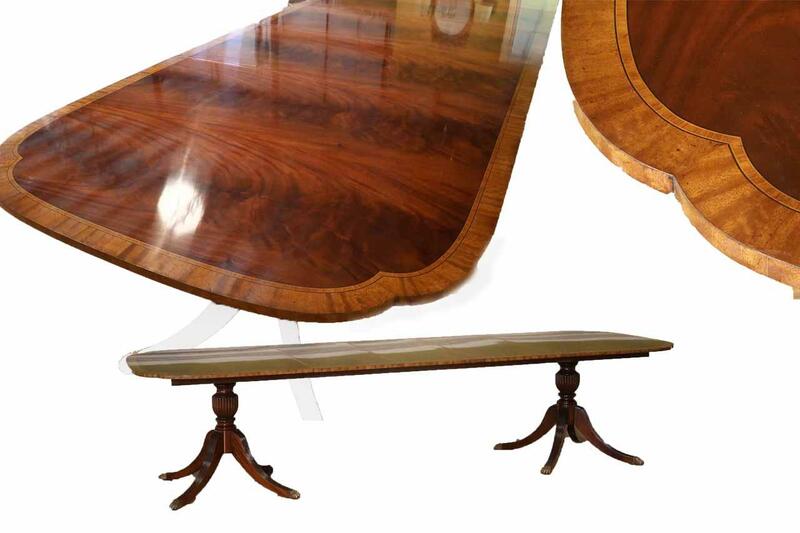 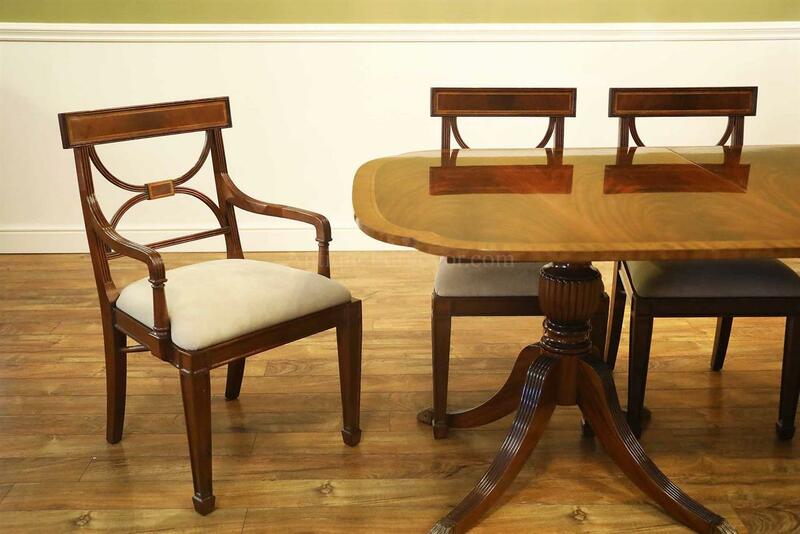 Duncan Phyfe double pedestal dining table with three leaves. 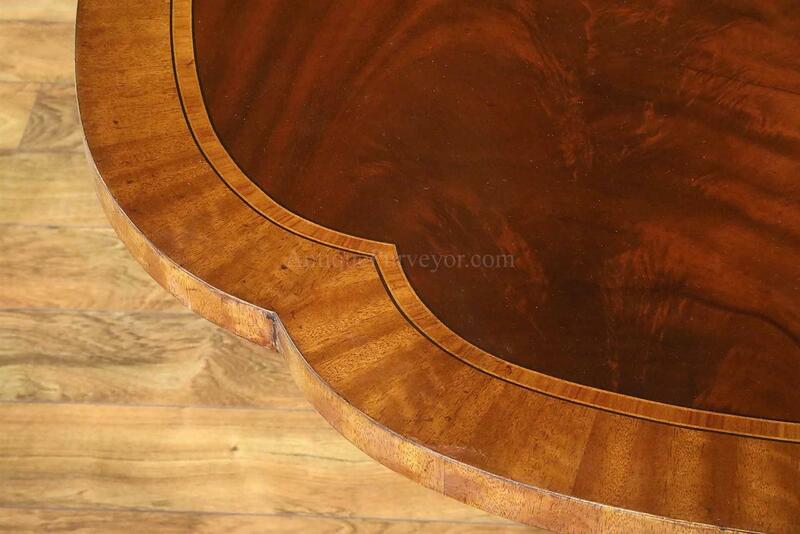 Satin finish with mild under-the-finish- distressing gives this table an old world look. 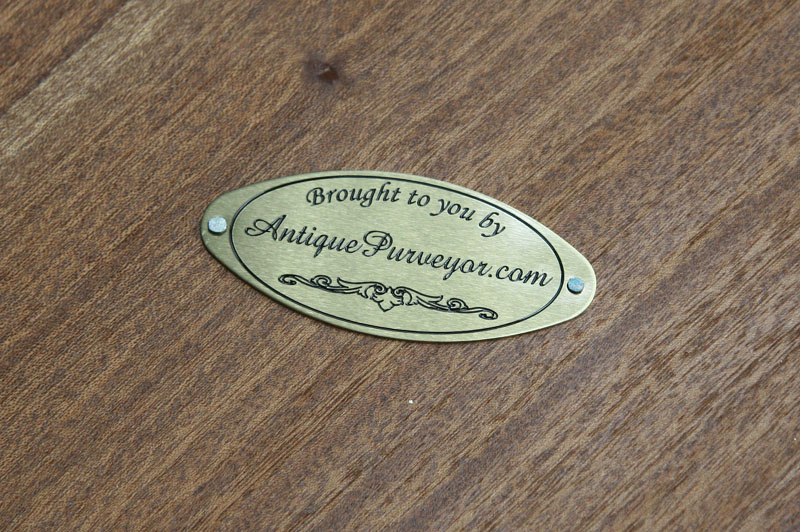 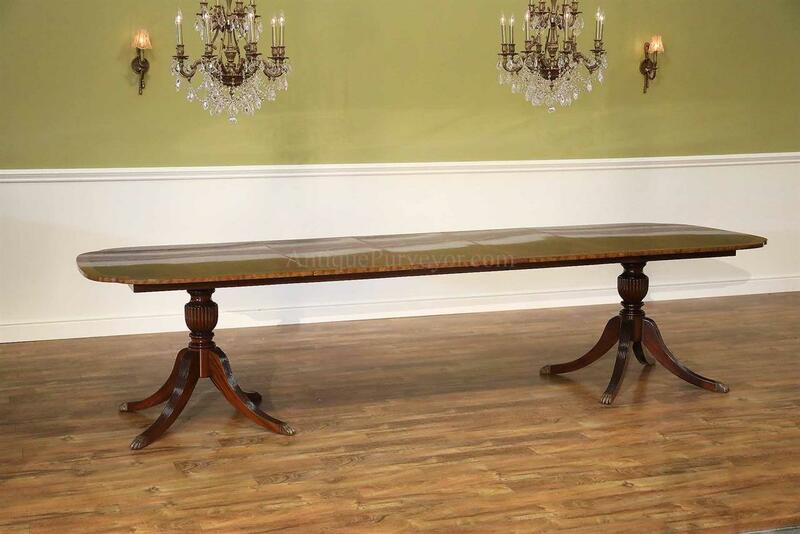 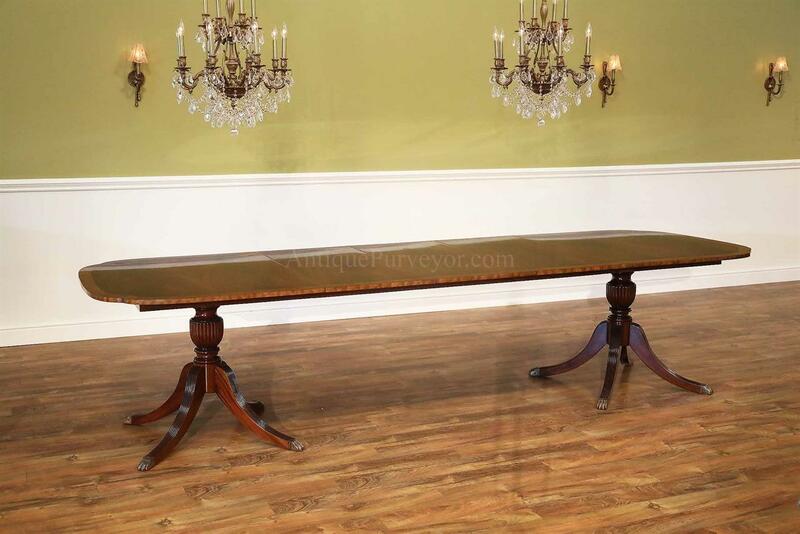 A finely made antique reproduction dining table for a traditional room. 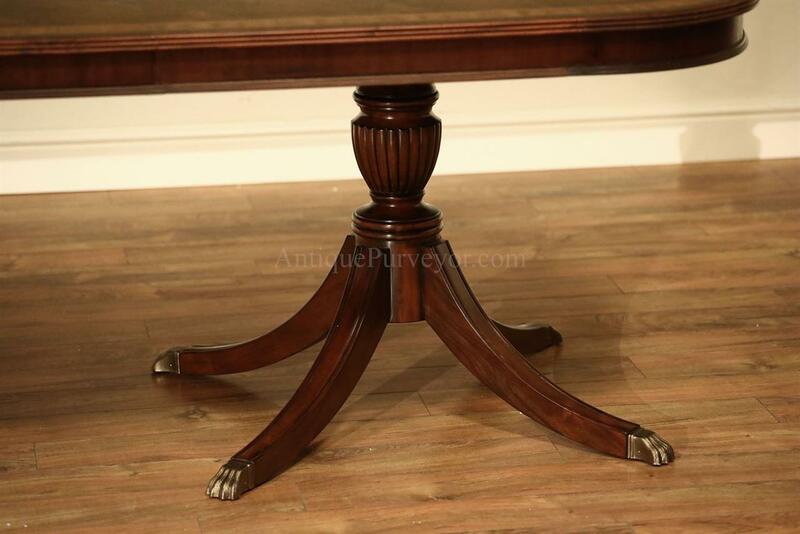 Sturdy four saber leg Duncan Phyfe style pedestals and American made steel slides make this a strong candidate for your consideration. 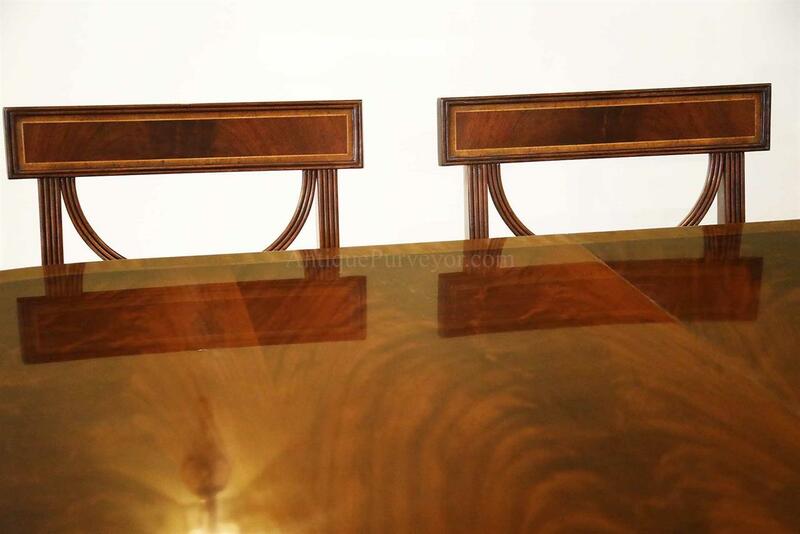 Satinwood bordered edge, satinwood edging and a flame mahogany field.